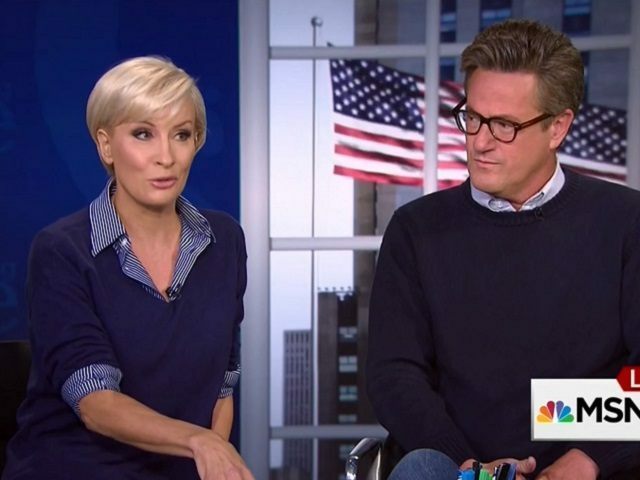 President Donald Trump turned his ire on MSNBC’s Joe Scarborough and his fiancé Mika Brzezinski, branding them with new nicknames and dishing embarrassing details about their relationship. He recalled that the television couple both wanted to join him during a New Year’s Eve party at his Mar-a-lago club, but he refused. Prior to Trump’s tweets, the pair sneered mockingly at Trump because of his healthcare bill and started ridiculing the president because of a fake TIME magazine cover spotted in his golf club. The Morning Joe couple has struggled with their relationship with Trump, alternating between fawning coverage to outright war with the president. Brzezinski responded to Trump’s latest attack by posting a picture of a Cheerios box on Twitter that said it was “made for little hands,” employing a common insult of the president. MSNBC reacted to Trump’s attack in a statement. “It’s a sad day for America when the president spends his time bullying, lying and spewing petty personal attacks instead of doing his job,” the statement read. First lady Melania Trump’s office also reacted to the news. “As the First Lady has stated publicly in the past, when her husband gets attacked, he will punch back 10 times harder,” the statement from the first lady’s office read. In January, news of Scarborough’s visit to Trump’s club leaked, prompting mockery from fellow journalists. In response, an outraged Scarborough insisted he was not there to spend time with Trump socially but wanted to set up an interview. The media actually needs to look at themselves — actually, media reporters need to look at themselves and ask why they are treating Donald Trump and the coverage of Donald Trump differently than other people. If they want to try to justify the attacks that way, they can do that. But it’s intellectually dishonest, and it’s intellectually dishonest to say that we are any chummier with Donald Trump and the incoming administration than we were with the Obama administration. It’s just not true. In May, Scarborough and Brzezinski revealed details of their engagement, claiming they had lunch with Trump in January during their time at Mar-a-lago. According to their story, Trump suggested they get married at Mar-a-lago or even the White House, while his son-in-law Jared Kushner even offered to marry them.